WHO: Property Guiding LLC is owned by a Florida-licensed real estate professional. WHAT: We are a real estate educational resource, comprised of local experts. WHEN: We offer daily blogs with up-to-date information to keep you in the know! WHERE: Property Guiding operates in Southwest Florida. 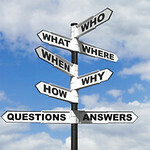 WHY: Our goal is to provide information to residents with the UTMOST INTEGRITY! Below are our expert contributors. Follow them by clicking on the tabs above and feel free to leave comments or questions. In the world of financing, you want to talk to none other than Matt Pell. Getting inspection services is an integral part in purchasing property. You’ll want to know why from Russell Hensel. Virtually every document in real estate is contractually binding. It’s important to know what you’re reading and how it will affect you. Learn the in’s and out’s from Carmen Dellutri. Be in the know with all things real estate by reading Kristen Pell’s content. And, last, but certainly not least…your goal is to get to the closing table. It’s crucial to record the transfer of property correctly. Get educated with Jennifer Ferri’s vital information. While we exist to educate you, we would also love the opportunity to earn your business. Each of the contributors are separate business owners with the same goal in mind, to help you in any way that we can. We are not getting paid to blog. We’re just doing our part to give back to the community. Thanks for reading! Fill out the Contact form to get in touch with any of our contributors.